"Roger Keyes" redirects here. For the English clergyman and academic, see Roger Keys. Admiral of the Fleet Roger John Brownlow Keyes, 1st Baron Keyes, GCB, KCVO, CMG, DSO (4 October 1872 – 26 December 1945) was a Royal Navy officer. As a junior officer he served in a corvette operating from Zanzibar on slavery suppression missions. Early in the Boxer Rebellion, he led a mission to capture a flotilla of four Chinese destroyers moored to a wharf on the Peiho River. He was one of the first men to climb over the Peking walls, to break through to the besieged diplomatic legations and to free the legations. Admiral of the Fleet is a five-star naval officer rank and the highest rank of the Royal Navy formally established in 1688. The five-star NATO rank code is OF-10, equivalent to a field marshal in the British Army or a marshal of the Royal Air Force. Other than honorary appointments no new admirals of the fleet have been named since 1995. During the First World War Keyes was heavily involved in the organisation of the Dardanelles Campaign. Keyes took charge in an operation when six trawlers and a cruiser attempted to clear the Kephez minefield. 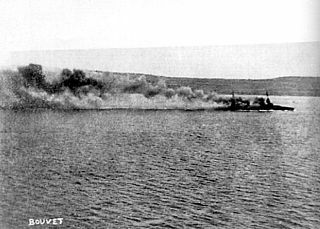 The operation was a failure, as the Turkish mobile artillery pieces bombarded Keyes' minesweeping squadron. He went on to be Director of Plans at the Admiralty and then took command of the Dover Patrol: he altered tactics and the Dover Patrol sank five U-Boats in the first month after implementation of Keyes' plan compared with just two in the previous two years. He also planned and led the famous raids on the German submarine pens in the Belgian ports of Zeebrugge and Ostend. The Naval Operations in the Dardanelles Campaign took place against the Ottoman Empire during the First World War. 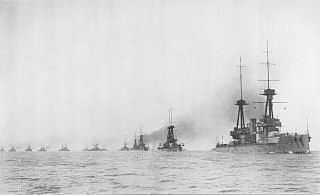 Ships of the Royal Navy, French Marine nationale, Imperial Russian Navy and the Royal Australian Navy, attempted to force the defences of the Dardanelles Straits. The straits are a narrow waterway connecting the Mediterranean Sea with the Black Sea, via the Aegean, Sea of Marmara and the Bosphorus. The Dardanelles Campaign began as a naval operation but the success of the Ottoman defence led to the Gallipoli Campaign, an attempt to occupy the Gallipoli peninsula with land forces supported by the navies, to open the sea route to Constantinople. The Allies also tried to pass submarines through the Dardanelles to attack Ottoman shipping in the Sea of Marmara. The Dover Patrol and later known as the Dover Patrol Force was a Royal Navy command of the First World War, notable for its involvement in the Zeebrugge Raid on 22 April 1918. The Dover Patrol formed a discrete unit of the Royal Navy based at Dover and Dunkirk for the duration of the First World War. Its primary task was to prevent enemy German shipping—chiefly submarines—from entering the English Channel en route to the Atlantic Ocean, thereby obliging the Imperial German Navy to travel via the much longer route around Scotland which was itself covered by the Northern Patrol. The Zeebrugge Raid on 23 April 1918, was an attempt by the Royal Navy to block the Belgian port of Bruges-Zeebrugge. The British intended to sink obsolete ships in the canal entrance, to prevent German vessels from leaving port. The port was used by the Imperial German Navy as a base for U-boats and light shipping, which were a threat to Allied control of the English Channel and southern North Sea. Several attempts to close the Flanders ports by bombardment failed and Operation Hush, a 1917 plan to advance up the coast, proved abortive. As sinkings by U-boats increased, finding a way to close the ports became urgent and the Admiralty became more willing to consider a raid. Between the wars Keyes commanded the Battlecruiser Squadron, the Atlantic Fleet and then the Mediterranean Fleet before becoming Commander-in-Chief, Portsmouth. 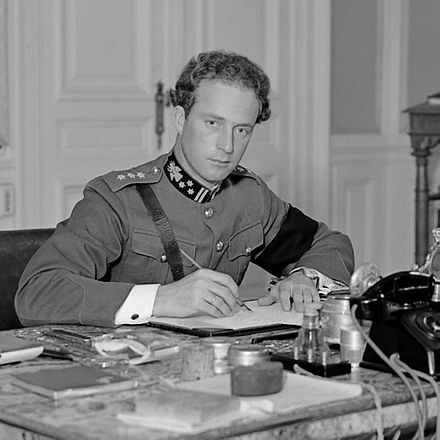 During the Second World War he initially became liaison officer to Leopold III, King of the Belgians. He went on to be the first Director of Combined Operations and implemented plans for the training of commandos and raids on hostile coasts. The Atlantic Fleet was a major fleet formation of the Royal Navy. There have been two main formations in the Royal Navy officially called the Atlantic Fleet. The first was created in 1909 and lasted until 1914. 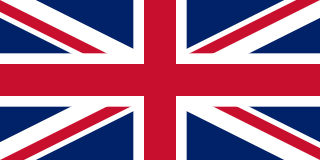 The second lasted from 1919 until 1932. The Commander-in-Chief, Portsmouth was a senior commander of the Royal Navy for hundreds of years. Portsmouth Command was a name given to the units, establishments, and staff operating under the post. The commanders-in-chief were based at premises in High Street, Portsmouth from the 1790s until the end of Sir Thomas Williams's tenure, his successor, Sir Philip Durham, being the first to move into Admiralty House at the Royal Navy Dockyard, where subsequent holders of the office were based until 1969. Prior to World War One the officer holder was sometimes referred to in official dispatches as the Commander-in-Chief, Spithead. General Sir Charles Patton Keyes, was a British Indian Army officer. 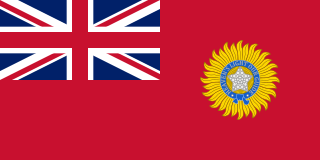 The Indian Army (IA), often known since 1947 as the British Indian Army to distinguish it from the current Indian Army, was the principal military of the British Indian Empire before its decommissioning in 1947. It was responsible for the defence of both British Indian Empire and the princely states, which could also have their own armies. The Indian Army was an important part of the British Empire's forces, both in India and abroad, particularly during the First World War and the Second World War. 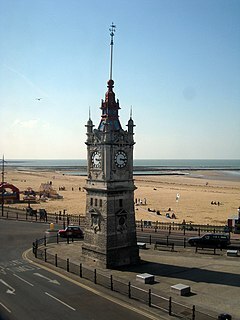 Margate is a seaside town in Thanet, Kent, England, 15 miles (24.1 km) north-east of Canterbury, which includes Cliftonville, Garlinge, Palm Bay and Westbrook. HMS Hart was a Handy-class destroyer which served with the Royal Navy. She was built in 1895 at Fairfield Shipbuilding and Engineering Company, spent most of her career on the China Station and was sold in 1912. HMS Fame was a two funnel, 30 knot destroyer of the Royal Navy, ordered under the 1894 – 1895 Naval Estimates. She was launched in 1896, served in Chinese waters for the whole of her life and was sold at Hong Kong in 1921. The New Territories is one of the three main regions of Hong Kong, alongside Hong Kong Island and the Kowloon Peninsula. It makes up 86.2% of Hong Kong's territory, and contains around half of the population of Hong Kong. Historically, it is the region described in the Convention for the Extension of Hong Kong Territory. According to that treaty, the territories comprise the mainland area north of the Boundary Street of Kowloon Peninsula and south of the Sham Chun River, as well as over 200 outlying islands, including Lantau Island, Lamma Island, Cheung Chau, and Peng Chau in the territory of Hong Kong. The Boxer Rebellion (拳亂), Boxer Uprising, or Yihetuan Movement (義和團運動) was an anti-imperialist, anti-colonial, and anti-Christian uprising that took place in China between 1899 and 1901, toward the end of the Qing dynasty. They were motivated by proto-nationalist sentiments and by opposition to Western colonialism and the Christian missionary activity that was associated with it. The Hai River, formerly known as the Peiho, Pei He or Pei Ho, is a Chinese river connecting Beijing to Tianjin and the Bohai Sea. Harwood and his captains are typical of the Navy to-day. There are hundreds of young officers who are waiting eagerly to seize Warburton-Lee's torch, or emulate the deeds of Vian of the "Cossack." One hundred and forty years ago, Nelson said, "I am of the opinion that the boldest measures are the safest," and that still holds good to-day. Admiral of the Fleet Sir Frederick Charles Doveton Sturdee, 1st Baronet was a Royal Navy officer. After training as a torpedo officer, he commanded two different cruisers and then three different battleships before becoming commander of the 1st Battle Squadron of the Home Fleet. He went on to command the 3rd Cruiser Squadron and then the 2nd Cruiser Squadron. The Home Fleet was a fleet of the Royal Navy that operated in the United Kingdom's territorial waters from 1902 with intervals until 1967. Before the First World War, it consisted of the four Port Guard ships. During the First World War, it comprised some of the older ships of the Royal Navy. During the Second World War, it was the Royal Navy's main battle force in European waters. Admiral Sir Victor Alexander Charles Crutchley was a senior Royal Navy officer during the Second World War and a First World War recipient of the Victoria Cross, the highest award for gallantry in the face of the enemy that can be awarded to British and Commonwealth forces. Admiral of the Fleet Sir John Michael de Robeck, 1st Baronet, was Royal Navy officer. In the early years of the 20th century he served as Admiral of Patrols, commanding four flotillas of destroyers. Admiral of the Fleet Sir Henry Francis Oliver, was a Royal Navy officer. After serving in the Second Boer War as a navigating officer in a cruiser on the Cape of Good Hope and West Coast of Africa Station, he became the first commanding officer of the new navigation school HMS Mercury in the early years of the 20th century. He went to be commanding officer first of the armoured cruiser HMS Achilles and then of the new battleship HMS Thunderer before becoming Director of the Intelligence Division at the Admiralty. Admiral of the Fleet Rosslyn Erskine Wemyss, 1st Baron Wester Wemyss,, known as Sir Rosslyn Wemyss between 1916 and 1919, was a Royal Navy officer. During the First World War he served as commander of the 12th Cruiser Squadron and then as Governor of Moudros before leading the British landings at Cape Helles and at Suvla Bay during the Gallipoli Campaign. 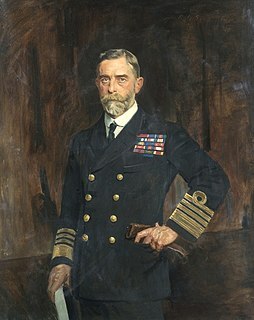 He went on to be Commander of the East Indies & Egyptian Squadron in January 1916 and then First Sea Lord in December 1917, in which role he encouraged Admiral Roger Keyes, Commander of the Dover Patrol, to undertake more vigorous operations in the Channel, ultimately leading to the launch of the Zeebrugge Raid in April 1918. Admiral of the Fleet Sir Charles Edward Madden, 1st Baronet was a Royal Navy officer who served during the First World War as Chief of the Staff to Sir John Jellicoe in the Grand Fleet from 1914 to 1916 and as Second-in-Command of the fleet under Sir David Beatty from 1916 to 1919. He was Commander-in-Chief of the Atlantic Fleet after the war and served as First Sea Lord in the late 1920s. In that role, in order to avoid an arms race, he accepted parity with the United States in the form of 50 cruisers defending his position on the basis that he only actually had 48 cruisers anyway. Admiral of the Fleet Sir John Henry Dacres Cunningham was a Royal Navy officer. A qualified senior navigator, he became Director of Plans at the Admiralty in 1930. He saw action as Commander-in-Chief of the Mediterranean Fleet during the Second World War with responsibility for the allied landings at Anzio and in the south of France. He served as First Sea Lord in the late 1940s: his focus was on implementing the Government's policy of scrapping a large number of serviceable ships. HMS Syren was one of two Myrmidon-class destroyers which served with the Royal Navy. She was launched by Palmers in 1900, served in home waters and was sold off, after the First World War, in 1920. HMS Dove was a three funnel, 30 knot destroyer ordered by the Royal Navy under the 1896–1897 Naval Estimates. She was the ninth ship to carry the name. Vice-Admiral Kenneth Gilbert Balmain Dewar, CBE, RN was an officer of the Royal Navy. After specialising as a gunnery officer, Dewar became a staff officer and a controversial student of naval tactics before seeing extensive service during the First World War. He served in the Dardanelles Campaign and commanded a monitor in home waters before serving at the Admiralty for more than four years of staff duty. After the war ended he became embroiled in the controversy surrounding the consequences of the Battle of Jutland. Despite this, he held a variety of commands during the 1920s. The Harwich Force originally called Harwich Striking Force was a squadron of the Royal Navy, formed during the First World War and based in Harwich. It played a significant role in the war. Admiral Sir Albert Percy Addison, was a senior officer in the Royal Navy. He was the Rear Admiral Commanding His Majesty's Australian Fleet from 30 April 1922 to 30 April 1924. During the First World War he was recognised by the British Admiralty as an authority on submarines, and his knowledge of that class of ship was used extensively. HMS Murray was a Royal Navy Admiralty M-class destroyer. Ordered before the outbreak of war, she was therefore the first of her class to enter operation during the early months of the First World War. She was also the first vessel of the Royal Navy to carry the name HMS Murray. The Commander in Chief, Dover was an operational commander of the Royal Navy. His subordinate units, establishments, and staff were sometimes informally known as the Dover Command. 1 2 3 "Sir Roger Keyes". Oxford Dictionary of National Biography. Retrieved 3 October 2014. ↑ "Admiral Sir Roger Keyes". Dover: Lock and Key of the Kingdom. www.dover-kent.co.uk. 2000–2006. Archived from the original on 14 October 2004. Retrieved 3 October 2014. ↑ "No. 26366". The London Gazette . 24 January 1893. p. 412. ↑ "No. 26444". The London Gazette . 26 September 1893. p. 5433. ↑ "No. 27245". The London Gazette . 9 November 1900. p. 6855. ↑ "Naval & Military intelligence". The Times (36654). London. 2 January 1902. p. 8. ↑ "Naval & Military intelligence". The Times (36666). London. 16 January 1902. p. 7. ↑ "Naval & Military intelligence". The Times (36773). London. 21 May 1902. p. 10. ↑ "No. 27812". The London Gazette . 30 June 1905. p. 4557. 1 2 "No. 27911". The London Gazette . 8 May 1906. p. 3164. 1 2 "No. 28505". The London Gazette (Supplement). 16 June 1911. p. 4588. ↑ "No. 28906". The London Gazette . 18 September 1914. p. 7396. 1 2 "No. 29423". The London Gazette (Supplement). 31 December 1915. p. 83. 1 2 "No. 29608". The London Gazette (Supplement). 2 June 1916. p. 5563. ↑ "No. 30017". The London Gazette . 13 April 1917. p. 3496. 1 2 "No. 30613". The London Gazette . 5 April 1918. p. 4132. 1 2 "No. 30655". The London Gazette . 26 April 1918. p. 5064. 1 2 "No. 13371". The Edinburgh Gazette . 20 December 1918. p. 4612. ↑ "No. 31708". The London Gazette . 30 December 1919. p. 15988. ↑ Squadrons and Senior Naval Officers in Existence on 11 November 1918. f. 8. ↑ "Biography of Admiral of the Fleet Sir Roger John Brownlow Keyes". HMS Hood Association. Retrieved 3 October 2014. ↑ "No. 32329". The London Gazette . 20 May 1921. p. 4004. ↑ "No. 33139". The London Gazette . 5 March 1926. p. 1650. ↑ "Commander's Evidence". The Scotsman. 3 April 1928. ↑ "Royal Oak". Time. 26 March 1928. Retrieved 3 October 2014. ↑ "No. 33604". The London Gazette . 9 May 1930. p. 2867. 1 2 "No. 14658". The Edinburgh Gazette . 6 June 1930. p. 645. ↑ "No. 34159". The London Gazette . 10 May 1935. p. 3048. ↑ Harold Nicolson (1967). Nigel Nicolson, ed. The Diaries and Letters of Harold Nicolson. Volume II: The War Years, 1939–1945. New York: Atheneum. pp. 76–77. ↑ "Conduct of the War. (Hansard, 7 May 1940)". api.parliament.uk. Retrieved 2018-11-22. ↑ "No. 35874". The London Gazette . 22 January 1943. p. 445. ↑ "Geoffrey Keyes". Lord Ashcroft VC Collection. Retrieved 30 October 2014. ↑ "No. 29507". The London Gazette (Supplement). 14 March 1916. p. 2869. ↑ "No. 29538". The London Gazette . 7 April 1916. p. 3691. ↑ "No. 31553". The London Gazette (Supplement). 12 September 1919. p. 11583. ↑ "No. 32413". The London Gazette . 5 August 1921. p. 6174. ↑ "No. 30807". The London Gazette (Supplement). 19 July 1918. p. 8599. ↑ "No. 28113". The London Gazette . 25 February 1908. p. 1315. ↑ "No. 28143". The London Gazette . 5 June 1908. p. 4167. ↑ "No. 28150". The London Gazette . 23 June 1908. p. 4554. ↑ "No. 28265". The London Gazette . 29 June 1909. p. 4962. Carlyon, Les (2003). Gallipoli. Bantam. ISBN 978-0553815061. Glenton, Robert (1991). The Royal Oak Affair: The Saga of Admiral Collard and Bandmaster Barnacle. Pen & Sword Books. ISBN 978-0850522662. Halpern, Paul (1995). A Naval History of World War I. Routleadge. ISBN 978-1857284980. Heathcote, Tony (2002). The British Admirals of the Fleet 1734 – 1995. Pen & Sword Ltd. ISBN 0-85052-835-6. Keyes, Roger (1939). Adventures Ashore and Afloat. London: George Harrap & Co.
Marder, Arthur Jacob (1969). From the Dreadnought to Scapa Flow Volume III. London: Oxford University Press. ISBN 978-1848322004. Preston, Diana (2000). The Boxer Rebellion: The Dramatic Story of China's War on Foreigners that Shook the World in the Summer of 1900. Berkley Books. ASIN B00BUW73OS. Aspinall-Oglander, Cecil (1951). Roger Keyes. London: The Hogarth Press. Keyes, Roger (1934). Naval Memoirs, 2 vols. London: Thornton Butterworth. Keyes, Roger (1941). The Fight For Gallipoli. London: Eyre & Spottiswoode. Keyes, Roger (1943). Amphibious Warfare and Combined Operations. Lees Knowles Lectures. Cambridge: University Press. St John-McAlister, Michael. The Keyes Papers at the British Library. Electronic British Library Journal. Wikimedia Commons has media related to Roger Keyes, 1st Baron Keyes .